The ever growing market for gin means that there are now over 30 gins being produced in Ireland. Distilleries in Ireland are traditionally famed for producing Irish Whiskey, so the recent popularity of gin production and consumption is relatively new. Gin has grown by 31.6 per cent year-on-year in on-trade value, reaching €74 million, according to recent figures from the Irish Spirits Association (ISA). Last year, figures from the CSO suggested that 2017 would likely see a significant and unprecedented increase in exports of gin from Ireland and it has done just that. The value of Irish gin exports more than trebled from €306,000 to €1.02m during the first 10 months of 2018, according to the CSO. “Recent years have seen a resurgence in the market for gin as consumer seek to try out different brands. Consumers are looking at new combinations for which this age-old product can complement modern tastes”the Head of the Irish Spirits Association, William Lavelle said in a press release. 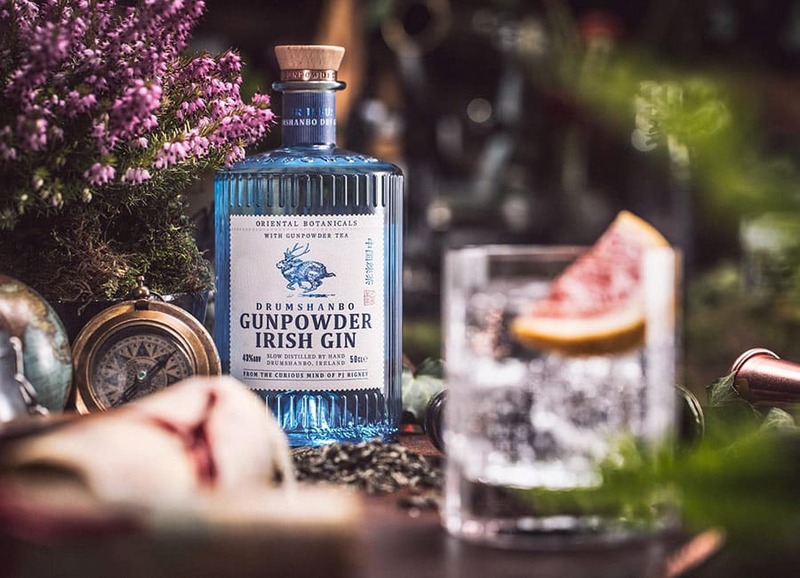 “In Ireland, this resurgence in interest has been matched by an explosion in the number of brands of Irish gin producers with over 30 Irish brands now on the market” he said. With over 30 Irish gins now produced in Ireland, there is a wide variety to choose from. Here are some of the best. Drawing inspiration from Victorian Dublin and the flora found in the walled gardens within Phoenix Park, Ha’penny Pot Still Gin’s botanicals include blackberries, lavender, geranium and dandelion flowers. The gin contains a variety of Irish botanicals including elderberry flower and hawthorn berry. It was produced by award-winning gin maker Robert Castell and is also the first gin released from The Connacht Whiskey Company. Made at Northern Ireland’s first award-winning craft distillery ‘The Rademon Estate Distillery’ in County Down, Shortcross Gin has been developed to tastefully represent the location where it was created, the historic Rademon Estate. The craft gin is made with local apples as well as traditional botanicals and water drawn from the estate’s well. If you’re looking to try a new Irish dry gin, then look no further than ‘Thin Gin’ from Blackwater Spirits which features a distinctive citrus fragrance of orange, lemon and lime. It uses all Irish grown botanicals such as apple, wild thyme, elderflowers, white clover and tansy. Using ‘whey alcohol’ as their base spirit, Ballyvolane House Spirits Company established in 2015 and has made a truly unique premium quality Irish gin. Most spirits are made using barley or wheat grain spirit, but ‘Bertha’s Revenge’ is essentially made using dairy. Milk from Irish dairy farmers is separated into curds and whey, the curds go on to make cheese and the whey has traditionally been regarded as a waste product is used to make the spirit. It is distilled by hand with 18 different botanicals. Coming from the town of Tullamore, Mor Gin contains traditional gin botanicals plus some floral honeysuckle and Slieve Bloom mountain water giving it a refreshingly sweet flavour. The distinctive blue bottle contains oriental botanicals including cardamom, Juniper berries, coriander seed, Angelica root, Orris root, caraway seed, star anise and locally foraged meadowsweet are added before being left to rest and mature. The bottles are then filled, labelled and packed by hand within ‘The Shed Distillery’. Speaking on behalf on the Irish Spirits Association (ISA), the trade association that represents brewers, distillers, brand owners and distributors in Ireland, William Lavelle spoke about the increased popularity of gin and the increase in exports. “While the domestic market has been key for to this growth, competition and innovation in the sector is also leading to export growth opportunities,” Lavelle said.